I like to think that I have a very good sense of humor. I can appreciate almost every kind of comedy, from stand-up to slapstick to sarcasm. I can laugh at the subtlety of Seinfeld, the over-the-top antics of Dumb and Dumber, and the unintentional type that permeates most reality television. It’s safe to say that I’m a big fan of humor. 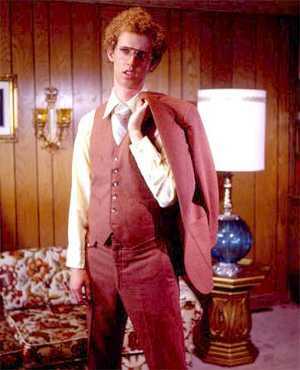 Yet I can honestly say that I didn’t laugh once at Napoleon Dynamite, and I’m pretty sure that I didn’t smile. As I ranted in my review of John Heder‘s other movie, “Just Like Heaven”, I highly doubt that anybody actually likes Napoleon Dynamite. My theory is that all the people who say how it’s so hilarious, think it’s so funny to quote it, and so cool to wear T-Shirts from it are only doing so because of peer-pressure. Somewhere along the line it became “cool” to like Napoleon Dynamite, and so now it’s mandatory put on a show and act like it’s your favorite movie of all time. And to top it off, this goes against everything that Napoleon Dynamite would have actually have stood for, if it wasn’t so stupid that it stood for absolutely nothing (The fact that this sentence makes sense just proves how idiotic Napoleon Dynamite really is). If this movie stood for something, it would be that people need to just be themselves. So of course everyone uses it as a way to be like everyone else and find acceptance from their peers. And to finalize and solidify my point, I’ll ask those of you who disagree with what I’ve written so far, to think about the following: If none of your friends liked this movie, and they wouldn’t think that quoting it or wearing “Vote for Pedro” shirts was funny, would you still like Napoleon Dynamite? 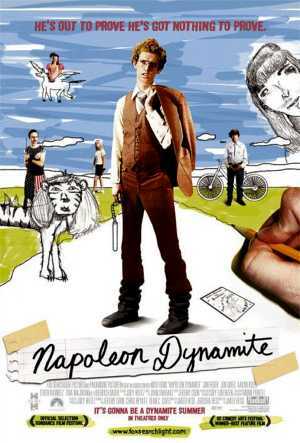 Napoleon Dynamite, you are a bad movie of legendary proportions..